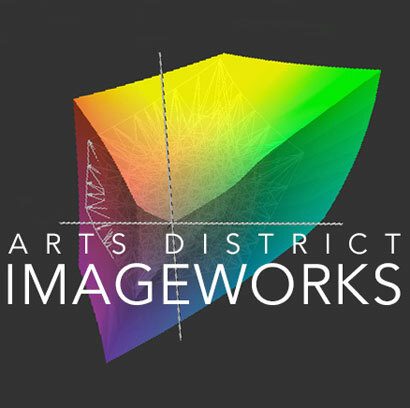 Arts District Imageworks (formerly Vongsouvan Fine Art) is a fine art print and scan studio. Our talented team works with clients who desire the highest quality scans and prints. We meet the needs of established and emerging artists/photographers as well as clients who want scans of old photographs, historic documents, architectural drawings, even ceramic tiles, textured works, and laminates. Our in-house Cruse scanner is one of the only of its kind in the country. Our team members have more than 30 years of experience with color management, scanning, and custom printing. We are dedicated to helping each client make informed decisions and exceed expectations when reproducing their artwork. With our Cruse scanner and Canon, Roland, and Epson printers, we use the finest equipment and materials to ensure precision scans and fine art prints or giclées. Our goal is to deliver top quality with spectacular service with a fun, professional atmosphere.